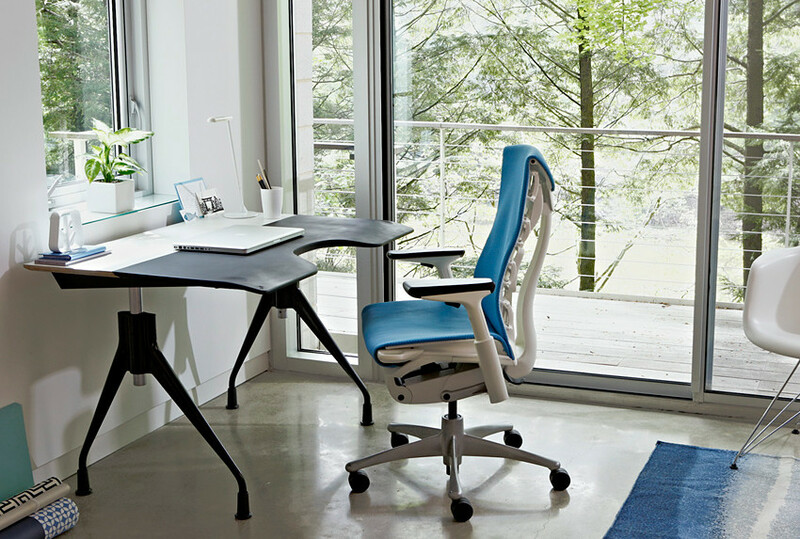 To perfect the most ergonomic posture, Herman Miller introduces an adjustable desk which complements any height, and position of slouching or sitting. 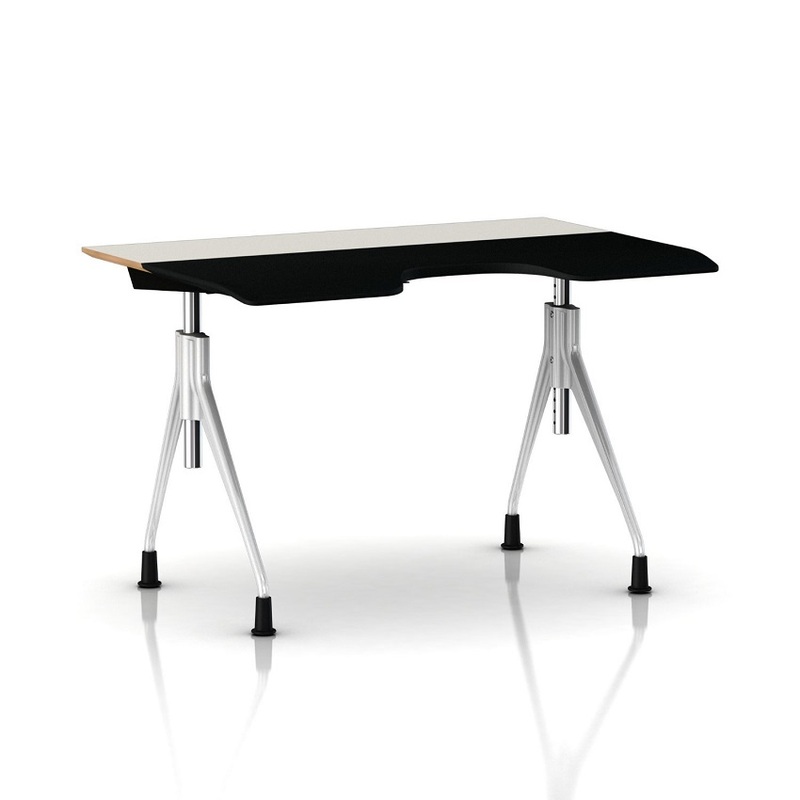 The Envelop desk is height adjustable and depth adjustable, bringing ultimate comfort in sitting. 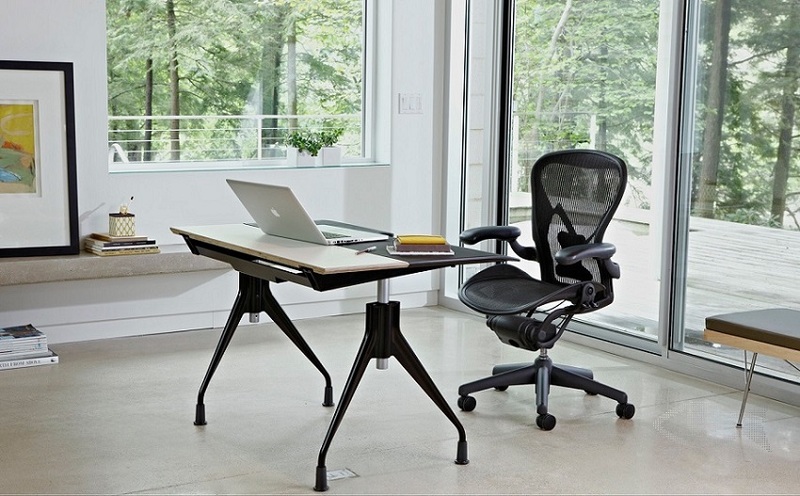 Height 25.5" to 31.5" , Width 45" , Depth 30.75" to 37"
All-day Comfort design - Provides ergonomic support through a wide range of seated and standing postures, including a comfortable recline. 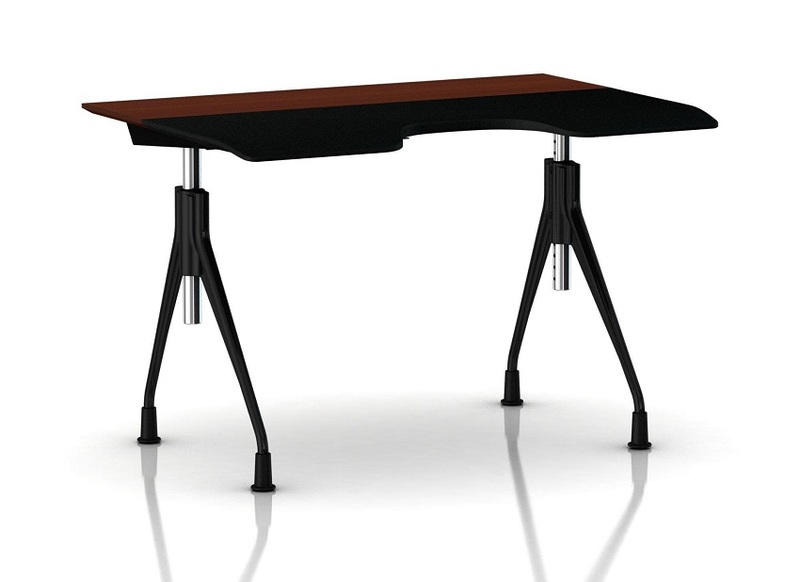 Monitor viewing friendly - Envelop's unique design features a surface that slides toward you and away from you, with a seventy-degree tilt that keeps technology in the correct ergonomic positions and maintains the visual display at the optimal distance. Good Fit design - The pocket fit that envelops your body accommodates from the 5th to 98th percentil of both women and men. Last edited by unwanted; 13-07-2013 at 03:53 PM..